Tony Malara was General Manager of CBS Affiliate, WWNY-TV in Watertown, New York, for 17 years. Not bad for starting out as a weatherman in the 1950s. Mr. Malara, who has been associated with the CBS network for 17 years, spent 7 of them as President of the CBS Television Network, and 7 of them as President of CBS Affiliate Relations in New York City. Spending an entire career with CBS at essentially two jobs is “really wacky” for the broadcasting business, Mr. Malara was quoted as saying in the Watertown Daily Times. Tony had the challenge of piloting CBS through the most difficult period in the network’s history. His affable personality served him well during these times. 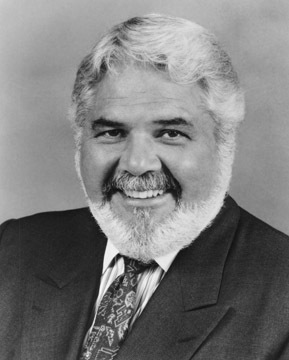 Tony served as President of the New York State Broadcasters Association in 1978-1979 and was named “Broadcaster of the Year” in 1984.